Sipper Bottle is gaining great popularity with each passing day. These are available in wide options like different sizes, colors, designs, sizes and other material to suit different requirements of different people. 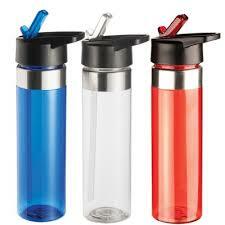 Nikos is the company that is here to offer the extensive range of Sipper Bottles In Pune Mumbai. It is important to carry your own water bottle to prevent dehydration. Being the most successful Personalized Sipper Bottles Suppliers In India, we ensure good quality, varied options, quick delivery to your doorway for attaining maximum customer satisfaction. From a kid to an adult everyone needs it in their day to day routine and buying it is actually a good decision. What Makes Customized Steel Sipper Bottles The Best Option To Invest On? Durable: Stainless Steel Sipper Bottles are very durable in nature because of their rigid body, which makes them ideal for athletes or adventurous. Safe To Use: Plastic bottles are quite unhygienic because a number of chemicals emitted from these. But when we talk about the stainless steel Sipper Water Bottles, so, they are made of good material, which is safe and prevents you from coming contact with a number of health issues. Keep Water Cold Or Hot: If you are on the board or want to carry your own water bottle filled with cold water or hot tea or milk, so, this sipper bottle is something you need. It keeps your water cool and other drinks hot as per the need for a specific time. We have plenty of options of Customized Steel Sipper Bottles to offer that you can explore before placing your order. Be in touch to know more about our offerings and get the detailed information shortly. We assure you that our customer support service never disappoints you and provide you proper details of the particular product you want to buy.